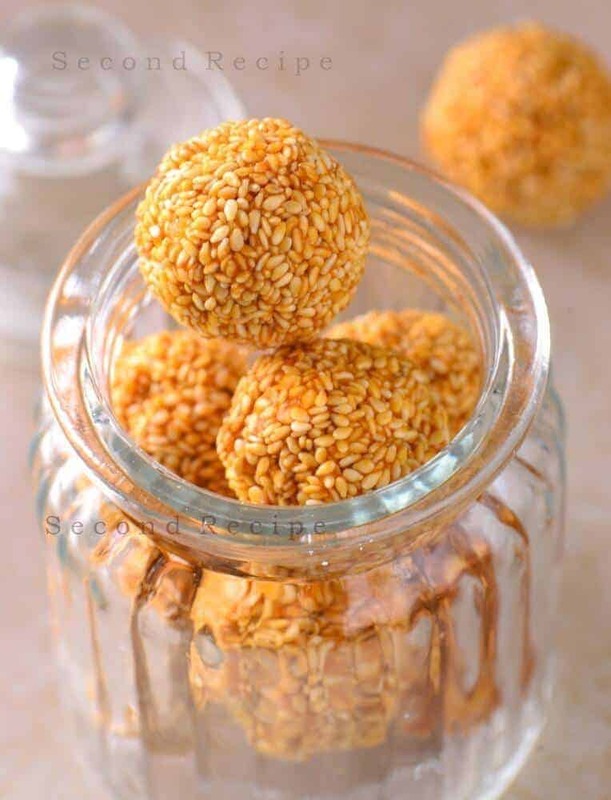 This sweet is not only healthy, but also contains ingredients which provide heat in the body, in the cold and harsh winters of Northern India. Sesame seeds also are a great source of Vitamin E which provides essential oil to our skin.Our forefathers have been intelligent to understand nature and have developed many recipes in accordance with Ayurveda.Don’t you feel they were more healthier and happier than the present generation?Somewhere along the way knowledge got lost,and people got attracted to lesser healthier options like medicines.It is time now to regain what was always with us, how to build a body strong and healthy without the use of artificial supplements and medicines. Make this easy sweet in the harsh winters and during the rainy season to keep the body healthy. It also an excellent travel snack. Roast sesame seeds on low flame for 5 mins.Keep it aside. Add 1/2 tsp ghee and jaggery. Mix well till jaggery melts for 5 mins on low flame. Add roasted sesame seeds.Mix well for 2 mins. Switch off gas and let it cool for 5 mins. Grease your palms with 1/2 tsp ghee and shape them into equal sized balls.